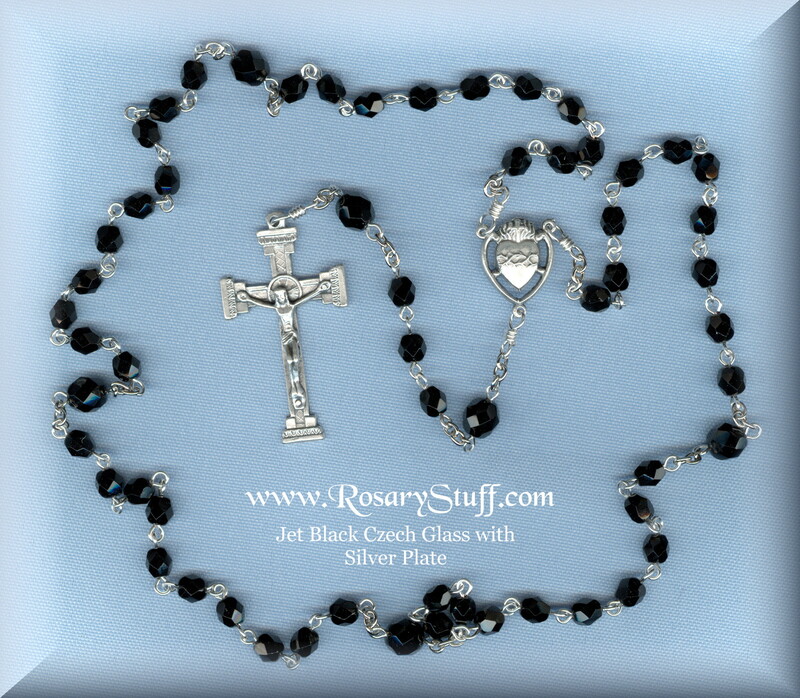 This classic Czech glass rosary features basic black faceted beads along with your choice of center and crucifix. The one pictured features an open work Sacred Heart centerpiece paired with my Architectural Column crucifix, but I've also included another picture showing some other options as well. 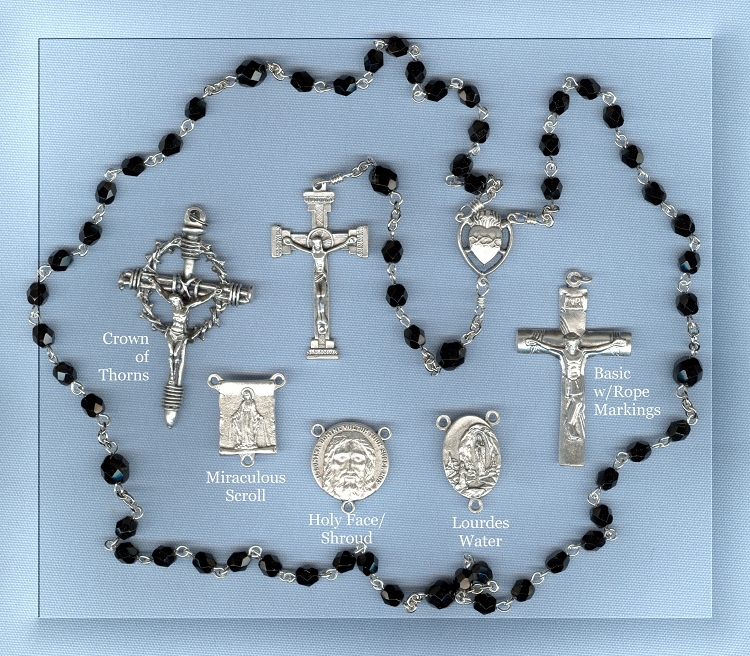 If you would like to order this rosary, with one of the centers or crucifixes shown in the picture, just add the name of that part in the comment section when placing your order. If you have any questions, feel free to contact me. CENTER: shown with Italian silver plate open work Sacred Heart shaped centerpiece. Please see other picture for more center options. CRUCIFIX: shown with Italian silver plate Architectural Column crucifix, but take a peek at the additional picture for more crucifix options.